Tru Stride 18" - 30"
Tru Stride 24" - 40"
Regular Stilts - 18" - 30"
Unsere mittelgroßen Stelzen, verwendbar für etwas höheres & moderne Decken. Justierbar von 18-30“ (46-76cm) und von den verschiedenen Größen in-between. Verwendbar für das Vergipsen, malendes & Verzierung, Deckeninstallation, Baum-/Heckezutat, Fruchtsammeln oder Stelzegehen! Doppeltätigkeitsfrühling mimicks die untereren Glieder. Hergestellt von der Aluminiumlegierung, nur 6.2kg (Paare) wiegend. Focus on the product features and your experience with them. Provide details about why you like or dislike the product. At Tru-Stride.co.uk / PCstilts.co.uk, we firmly believe in the quality of our products and offer all of our manufacturers guarantees. Any product originally purchased from Tru-Stride Silts / PC Stilts may be returned within 30 days of the order date if you are not entirely happy with your purchase. Please follow the guidelines listed below to ensure a smooth return. 1. The purchaser must pay the return fee for the stilts and provide insurance. The total return price is in the region of �10.00 from UK and Scotland with DHL, Parcelforce, FedEx, UPS etc. 2. Please email us at info@pcstilts.co.uk or call us at 0845 828 88 88 and request a return authorization code (PC). Please include an explanation why your product needs to be returned. 3. We want you to be totally satisfied with your purchase. In the unlikely event you experience a problem, we offer a 12 month return to base warranty. 4. 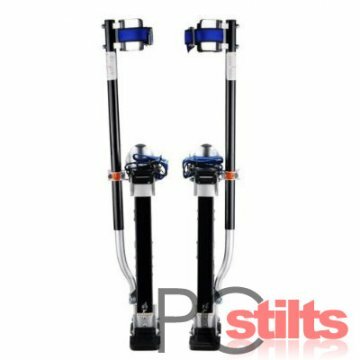 If within 12 months from date of purchase you experience a fault with your Tru-Stride Stilts or PC Stilts we will either repair, replace, or send the faulty part out to you if it is simple to replace. If it is a more serious fault, we may ask you to return the stilts and we will send out replacements to you. Any Stilts returned must be authorised by us first. 5. For problems that require a part and are easily replaced, we can send these out direct to you free of charge within 12 months of purchase. 6. Return product to the address on the customer order form. If you do not have the customer order form we will need the following: name, order number, address, Tru-Stride Stilts and PC and contact information attached to the box. Returns should be unopened or in otherwise new condition, to ensure that you're eligible for a full refund. 7.Upon receiving and processing your return you will be contacted with refund details. Please note that we refund shipping costs only if the return is the result of our error and the entire order is returned. In order to be eligible for a refund, product must have been originally purchased from Tru-Stride.co.uk / PCstilts.co.uk All returns are subject to a 20% restocking fee. We offer FREE delivery of Tru-Stride and PC Stilts all over the world. For UK and Scotland we offer FREE next day delivery. Delivery of Tru-Stride Stilts / PC Stilts takes approximately 5 working days for overseas countries.